My hands are stained purple with juice. The sun is shining on my sunscreen-slathered neck and arms. 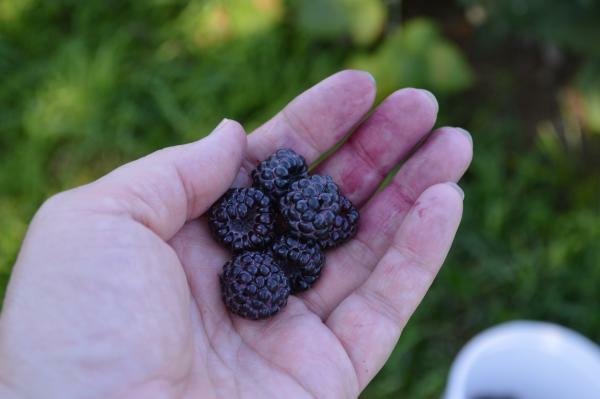 My bucket is filling with “black gold.” I’m picking black raspberries, and all is right with the world.